Removing clutter, cleaning up, adding light and color will all give the impression of a larger office. Check out our tips on How To Make A Small Office Look Big – For Cheap for more detail. By strategically placing furniture you can start organizing your stuff, instead of letting it drape over the environment like a teenager’s bedroom. 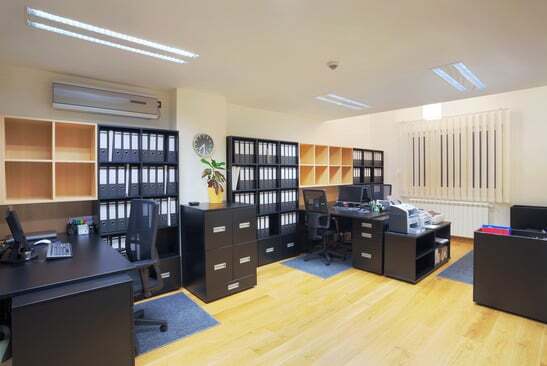 You will want to have a read of our Ideas On How To Organize A Small Office to find out how. Are you still struggling to find space? 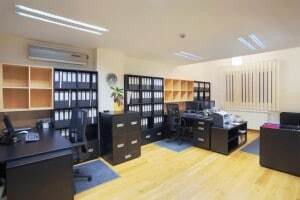 How To Organize Office Supplies In The Small Or Home Office will help you eliminate gear you don’t need, and tactfully organize the gear you do. You don’t need Martha Stewart to decorate your small office. All you need is some ideas, and a little initiative to make it happen. We have put together Five Decorating Ideas For A Small Office, and Five More Decorating Ideas For A Small Office to help you on your way. If you want to start off with painting the office, then we have put together some beginners tips on Office Colors to narrow down the decision making required. Looking for more tips to make the most of your small office? All of our articles are indexed for your convenience. Be sure to leave a comment if there is something you think we missed, or some tips you would like to share with your fellow small-office-dwellers!